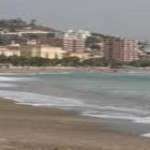 With over 25 years experience in Real Estate on the Costa del Sol Alcántara Property Investments S.L. guarantees you professional advice for investment in Spain and an excellent reputation. As one of the very few qualified real estate agents on the Coast and member of the “Official Board of Agents” “Colegio Oficial de Agentes de la Propiedad Inmobiliaria” in Málaga, Sylphe Peschke and her team stand for seriousness, moral integrity and professional know-how. Being a small agency in size and staff, our clients receive a very friendly personal service with full attention on their special needs, which help them to find what they are looking for. We have a vast and continuously changing port-folio of properties for sale direct from owners as well as wide-spread network of collaborating agents both local and abroad. We guarantee best results for exclusive marketing through us. Just walk in and enjoy our friendly atmosphere!